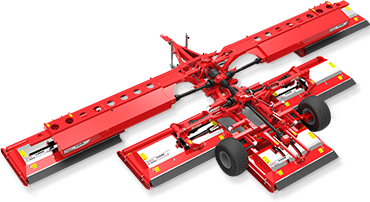 We build the only commercially proven wide area rotary roller mower in the world. The best cut, the lowest maintenance, the greatest experience. It’s the mighty Trimax X-WAM. 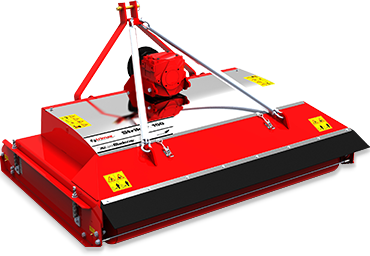 Trimax Mowing Systems are a worldwide provider of wide area mowing solutions for fine turf, sports fields, public spaces and golf. Our Wide Area Mowers provide pristine presentation and striping with minimal clumping and a fine clip in not only dry conditions but also in the wet and in spring growth. 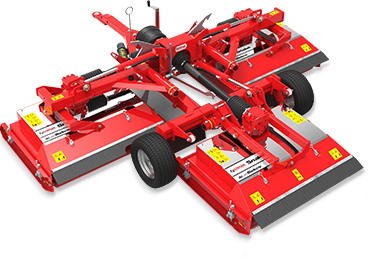 With high up-times and unsurpassed reliability Trimax Mowers offer an industry leading low-total-cost-of-ownership and an unmatched 3 year warranty period. We’re proud to say our Trimax Wide Area Mowers can be found mowing prestigious sites around the world such as Atlanta Speedway, Windsor Castle and Guards Polo Club in England, to name a few. Contact us to day to help find the right mower for your application. Download our catalog to find out more. 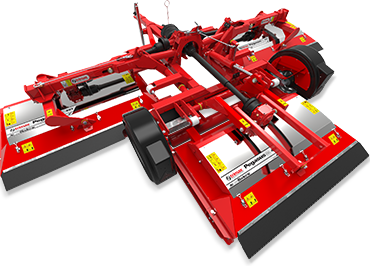 Trimax X-WAM™ will increase your productivity using one tractor, one driver, and one mower to cut 33 acres per hour. Minimum tractor requirement 90hp.